The Portsmouth Brewery in New Hampshire has developed a beer called Libeeration which contains ingredients, such as lemon balm and chamomile, that are believed to relieve some of the symptoms of the menopause. 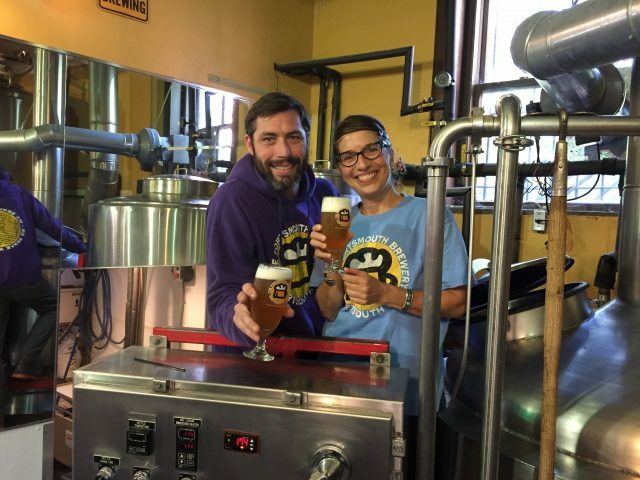 The new brew is the brainchild of Portsmouth Brewery co-owner Joanne Francis, who has been making beer for the past 26 years together with her partner Peter Egelston. After first pitching the idea six years ago, Francis said her staff reacted with “disgust and horror”. She did not give up, however, sensing a gap in the market in an industry that she says is “dominated by men and focused on selling to 21 to 35-year old male consumers”. During the six-year process, she consulted psychologist Sylvia Pollock, kinesiologist wellness practitioner Marilyn Svihovec, and herbalist Amanda Stanley. After their input, Francis got head brewer Matt Gallagher on board. She added: “Remember, many of us have been enjoying craft beer since the whole movement began in the mid-80s. We have purchasing power and we deserve this empowering elixir”. Libeeration is described as a gruit-style ale (flavoured predominately with herbs rather than hops) that is straw-coloured with “fruity, spicy and earthy flavours”. The beer contains ingredients that herbalists believe can help to alleviate some of the symptoms caused by hormonal changes experienced during the menopause. These include: motherwort, lemon balm, chamomile, stinging nettle, mugwort, rose, chickweed and damiana. A small quantity of Saphir hops are then added during secondary fermentation, which Gallagher claims “adds a pleasant tangerine note to the finish and can help with sleep”. Gallagher continued: “I’ve always been intrigued with the concept of this beer, but it was only after having a daughter and beginning to view the world differently that I felt the importance of putting this ale on the front burner. This has been an amazing collaborative process and so much fun to work with a group committed to offering women something new and delicious”. 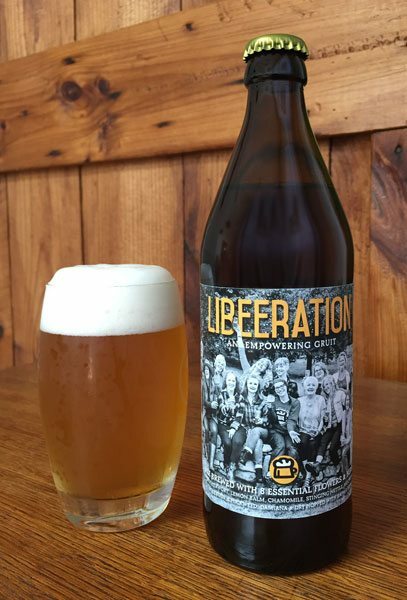 Libeeration will be released on draught tomorrow (5 October 2017) and a limited number of bottles will be available at the brewery’s retail store in Portsmouth. Francis has said that if demand is sufficient, the brewery will consider adding the brew to its permanent rotation of craft beers. What a great concept and product. I do like the idea of Beer as medicine for the soul as well as the body. Cheers!